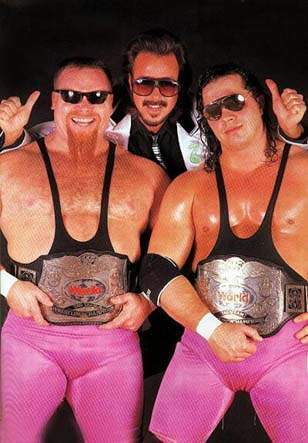 Growing up I was always a fan of The Hitman, first as part of the Hart Foundation with Jim "The Anvil" Neidhart and later during his singles run. I was sad when he left the WWE even though his departure was one of the most talked about moments in wrestling. Even though in WCW he won the United States, Tag Team, and World Heavyweight Championships it didn't feel like he did much at all. The injury and abruptness with which his career ended left me feeling like we as fans were cheated. I can't even begin to imagine how Bret felt. As a fan I wanted to see Bret go out on top, or at least under his own terms, with thunderous applause and not the fizzle that we got. I knew we'd never see him wrestle again, at least that's what I thought, due to the concussion and stroke but it would be nice to see him get the recognition that he deserves. In 2005 we got our first taste of the return of The Hitman when he worked with the WWE to release a DVD about him: Bret "Hitman" Hart: The Best There Is, The Best There Was, and The Best There Ever Will Be. The documentary was fantastic and the match compilations were great. I was happy that if this was all we got at least it's positive. 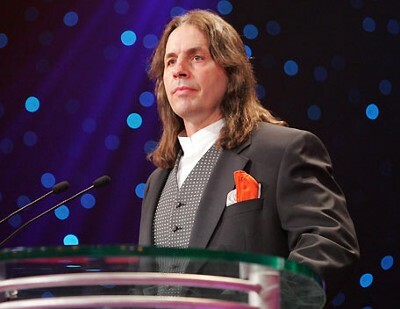 Then in 2006 he was the headliner inducted into the WWE Hall of Fame. In his speech he said he was only here for the fans to let them know not to worry about him because he was okay. Once again I thought that this was it, and I was satisfied with this send off as well. January 4, 2010 was the day that no one ever thought they would see when Bret stepped back into a WWE and faced his old nemesis Shawn Michaels where the two shook hands ending the feud. Later that night a new feud began when Vince McMahon kicked The Hitman in the crotch which lead to the unbelievable return of the Hitman to the ring at WrestleMania that year. That brings us to what this post is about, the final 11 matches of Bret "The Hitman" Hart. The match that had to happen! With his family at ringside Hart got his revenge on McMahon after the Montreal Screw Job. March 25, 2012 Big Time Wrestling in Augusta, Maine. 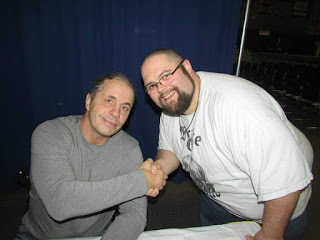 I did meet Bret Hart once after his Last Match he cut a promo that night at the show. I also saw him wrestle live a few times.